Two top Volkswagen engineers who found they couldn’t deliver as promised a clean diesel engine for the U.S. market are at the center of a company probe into the installation of engine software designed to fool regulators …. The two men, Ulrich Hackenberg, Audi’s chief engineer, and Wolfgang Hatz, developer of Porsche’s winning Le Mans racing engines, were among the engineers suspended in the investigation of the emissions cheating scandal that sank the company’s market value by 43% since Sept. 18 and triggered a world-wide recall to refit the engines to meet clear-air standards …. Messrs. Hackenberg and Hatz … are viewed as two of the best and brightest engineers in German industry. 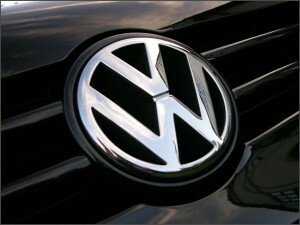 They were put in charge of research and development at the Volkswagen group shortly after Martin Winterkorn became chief executive in January 2007. Mr. Winterkorn … resigned over the scandal …. Volkswagen Emissions Investigation Zeroes In on Two Engineers, The Wall Street Journal, Oct 5, 2015. When things go wrong it will inevitably include some of the best and brightest in our organization. Too often we try to find the “little guy” who touched the product last and blame them when in fact it was kicked off at a much higher level. The way the Wall Street Journal’s headline was written it sounded like it was going to be a couple of engineers in the trenches. A better headline might have been “… Investigation Zeros In on Top Engineering Management.” The root cause, as always it seems, is management. Too often successful appearing but otherwise unsuccessful-in-real-results managers often rise to the top in an organization. This I’ve seen especially in organizations that were not performing well and had not performed well for years. In this kind of environment, in my experience, someone over time still needs to be promoted as people come and go, and so we end up promoting people who are actually unfamiliar with successful projects. These people can rarely lead an organization to a success that they’ve never personally managed nor experienced. For how this happens see A Successful Manager But Never A Successful Project? In those cases when I’ve seen this equivalent of VW’s going wrong, the very top management had indications of problems (e.g., someone continually mentioning a concern in a status meeting) but they decided to look the other way, because they really wanted the optimistic assessment to be true. My solution to avoid this kind of situation was to be consistently and brutally honest. It does seem like at times that we are only slowing ourselves down or not taking advantage of opportunities. Yet in the long run, longer than our competitor’s rise and then fall, we’ll still be in the game and doing well enough — and positioned to take advantage of that inevitable next big breakthrough when it does come along. Is that potential for promotion worth the risk of compromising your integrity?